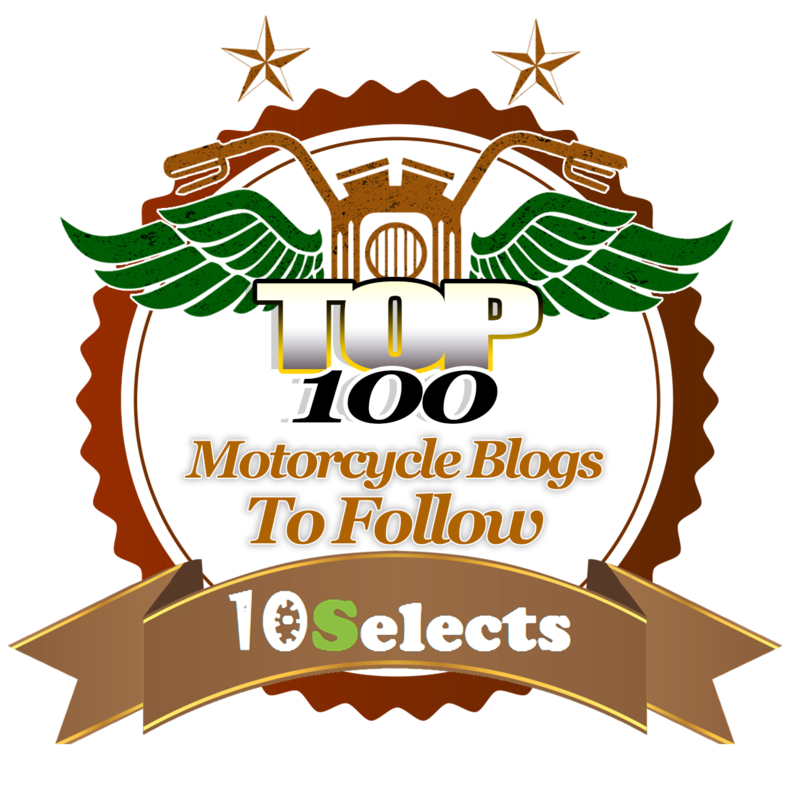 Al Gravola (Aviator47 on ModernVespa) was incredibly helpful and made a significant contribution to the planning for the Tuscan Loop. Al and his wife used to live in the Pacific Northwest, but retired in the Greek Islands. 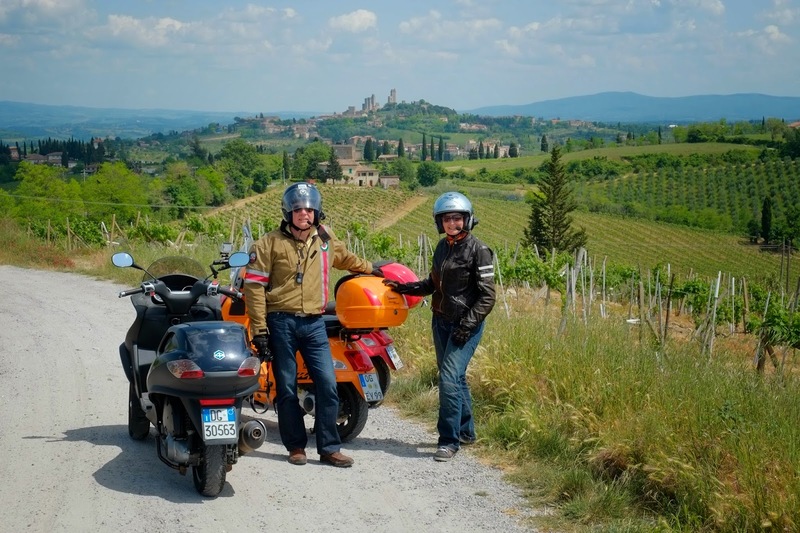 Avid scooterists, Al and his wife organize scooter tours of Tuscany and Provence as a hobby. 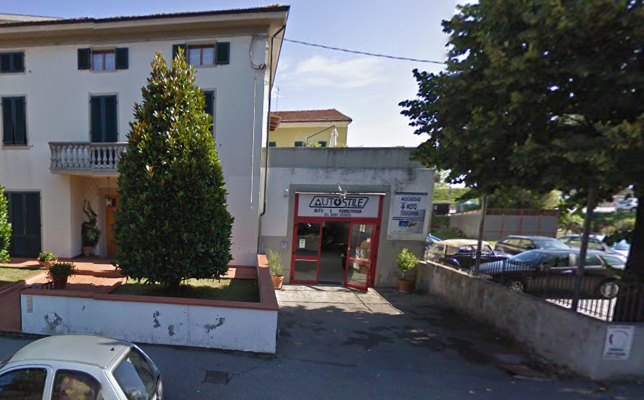 I had found Noleggio Moto Toscana on my own, but had no clue if they were a reputable rental outlet. I know based on reviews on Trip Advisor for instance that Bici & Baci in Rome which looks like a great place to rent Vespas in Rome, has some serious reputation issues. When I checked out the shop on Google street view, it looked a little sketchy to me. I reached out to Al for advice. He came through in a big way. 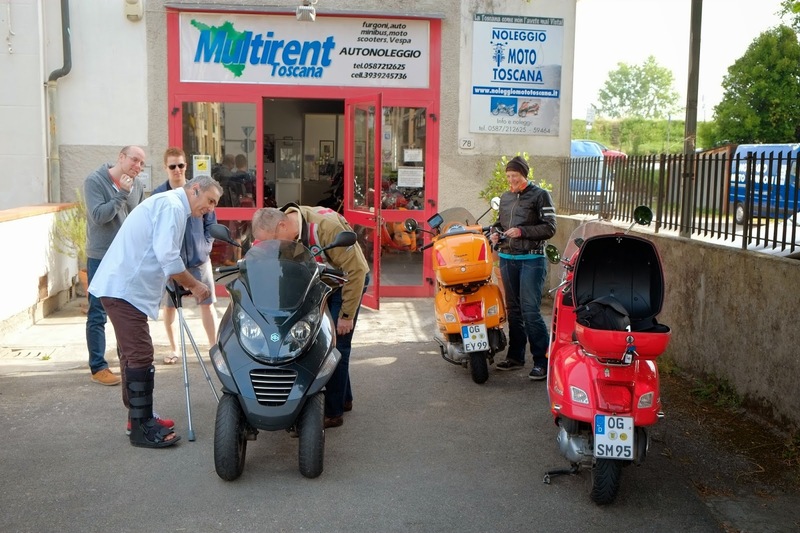 First off he confirmed that Noleggio Moto Toscana was the preferred scooter rental supplier for the Tuscan tours they organize. He also introduced me to Roberto. Al also very kindly suggested a moto tour looping route: the Tuscan Loop. The starting point, Pontedera, is the opposite of Volterra and is not at all a tourist town. It's pretty much like every mid-sized town in America, with recently built residential and commercial properties, and thoroughfares that are paved with asphalt and reasonably wide. From a tourist's perspective it's not much to look at. Roland, yours truly, and Sonja, in that order, with Roland leading the way and Sonja riding sweep, made our way out from Pontedera and south in the direction of Volterra, following the route that Al suggested. Along the way we encountered roundabouts (in Montreal we call them traffic circles, and they are the exception in Canada rather than the rule). Along our route there were too many roundabouts to count. I now consider myself semi-expert in the ways of roundabouts. I have to say I'm a fan, but the Garmin GPS we used on our road trip in the rented car was not nearly as good at roundabouts as I am. "Enter roundabout and take the third exit." Sounds simple when you hear it, no? Counting to no more than three, maybe four, is a skill I pretty much mastered in grade two. Maybe grade three, tops. Brittany, our Garmin gal, must have gone to a different school. From time to time she had to resort to "re-calculating". Sometimes she did this mere meters from the roundabout. Sometimes, even more irritatingly, she had to re-count within fifty meters of a fork in the road, where manifestly there were only two choices. At least in a roundabout I could just keep going round and round in the circle until I figured out the right exit all by my lonesome. Brittany in a similar fix, just stubbornly stuck to her original inaccurate guess, gleefully sending us off in the wrong direction. She figured she could always take her time recalculating later. After all, if we were on vacation and more laid back than usual, why shouldn't she be relaxed about the trip too? Roland had no such issues. Following Roland was as reliable as the day is long. He had a TomTom. But I'm convinced it's Roland, not the GPS. Roland is just a damn fine navigator of Italian roundabouts. And that's that. As the town yielded to the countryside, the straight roads yielded to twists and turns. I now firmly believe that Italian civil engineers are incapable of going from A to B, or Volterra to San Gimignano, in anything resembling a straight line. In any dimension. We travelled left, we went right, up we went and down we went. Sometimes very nearly in circles. We traced corkscrews, figure twos, sometimes figure nines. Taking into account differences in elevation, I am reasonably sure we also traced figure eights. None of this happened slowly. The prevailing speed limit was fifty kilometers an hour. By my estimation we pretty much always went faster than the government intended. Positioned on the road between the two Vespas, I felt like a learner. I had never ridden 'twisties' like this before. Well perhaps once and very briefly last summer in New Hampshire while riding through a notch behind a couple of motorcycles. But in all honesty, that was, as they say these days, a fail. And this day in Tuscany I was struggling as well. I'm not entirely to blame. I countersteer pretty well. I understand the principle, and the practice. But my Vespa, like Sonja's Vespa, suffers from a significant disability. Left turns are a huge psychological challenge. It's all the fault of the cursed Vespa side stand. On a good left hand sweeper, that @#%?% side-stand does its level best to scrape a furrow in the asphalt. 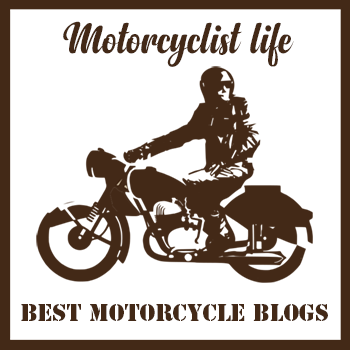 If it sounds terrible, and trust me it does, it feels even worse, and the mental image it conjurs of the bike vaulting off the side stand into a high side spill, is psychological torture. I knew I was riding what is quite possibly, outside of the moto grand prix circuit, the most stable motorbike ever built. I knew the MP3 can out-lean most motorbikes. I had seen the videos on YouTube of MP3s in the Los Angeles canyons heeled way over with showers of sparks trailing from the centre stand. But Pavlov and his susceptible hound had had their way with me. Curses. On the right-hand sweepers I was countersteering with brio and leaning just right, following Roland's impeccable line with assurance. On the lefties (how ironic for a southpaw), the Vespa side-stand-o-phobia got the better of me. Looking in my left mirror, I could see Sonja's side stand and the narrow sliver of daylight between the stand and the asphalt dwindling away. Her sidestand was psychicly grafting itself onto my MP3 and it was taking a lot of conscious effort to shake the feeling as it sapped my confidence in left-handers. I guess they call them sinistras in Italy for a reason. Yikes. Some of my left sweeps went wayward, taking me into the left hand lane like a rookie. I had discussed my sidestand issues with Sonja back at the shop in Pontedera. She candidly offered that she hated her sidestand for it, and admitted to cringing when the bad scrapes rattled the bike. But Sonja is a seasoned rider with years of experience earned since before her time in Canada. I am not. Still, I did my best to earn my keep. At one point, after a decent section of tight S turns, Sonja hit the intercom and remarked that my line in that series was near perfect. Coming from Sonja, it meant the world to me. Roland offered similar words of encouragement. He said that the MP3 looked amazing leaning deeply into the turns. With fellow riders as gracious as Sonja and Roland, any moto tour would be memorable, with or without the unending moutainous twisties. This tour was nevertheless heaven on two wheels. A sharp right turn at a T in the road followed by a series of climbing twisties brought us to the ancient walled city of Volterra. Remarkably, Italians allow motor vehicles right into the heart of these patrimonial treasures. Riding through the massive midieval city gate, and cruising sedately through the narrow passages, I felt like we were crusading knights on trusted steeds. The visor on my helmet raised, I surveyed the town with what I imagined to be a knight's noble gaze from the saddle of my MP3. Roland found the dedicated motorcycle parking and we parked as the rules suggested we should. Roland is characteristically Teutonic in his appreciation of, and respect for, society's rules. They exist for a reason, and they deserve to be heeded. If only he knew what a passionate scofflaw my inner Vespisti is. He might blush. We strolled Volterra's by-ways, finally settling on a tiny little restaurant. The intriguing feature of the place was the glass floor revealing the structure of foundations from a long ago and otherwise forgotten past. We settled into an outdoor table, and I followed Sonja and Roland's cue, opting for bruschetta and a soft drink. In my case, an order of cheese bruschetta and a fizzy lemonade. I was not disappointed. The bruschetta was broiled to perfection, the ample cheese melted over the four crusty slices of bread, with crisp lacy edges all around. My mouth waters as I write this on the plane to Paris for our connecting flight to Montreal. 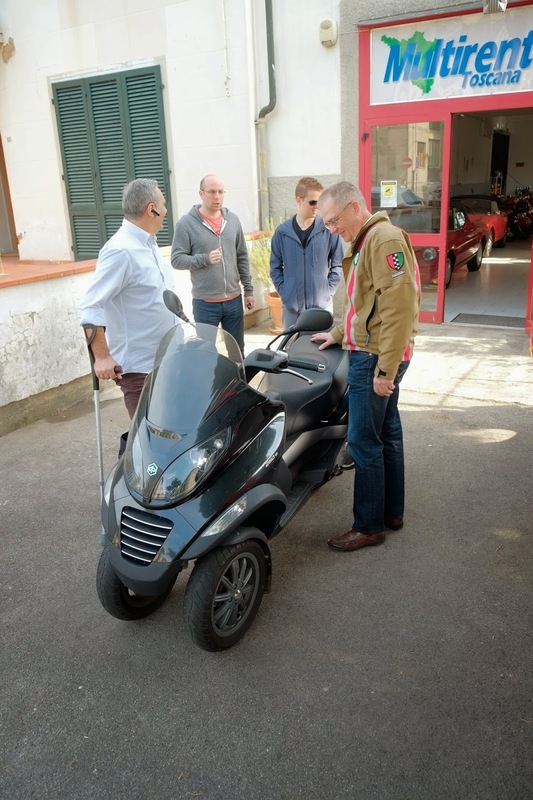 We indulged in a relaxed friendly chat, comparing notes on Tuscany, the value of fresh locally sourced ingredients, temporarily forsaken diets, the unsuspected wonders of Vespas as touring vehicles, and the beauty of the Tuscan countryside. We slowly made our way back to our bikes, saddled up once more, and followed Roland out of Volterra. Roland pulled over so we could record the view of the Tuscan valley spreading out below Volterra. I crossed the road to snap a properly framed shot of our little group. I lay back on the grassy embankment, taking up as little space as I could. A large transport van loomed into view, passing me with what seemed to be inches to spare beyond my toes. There is enough room on these two-lane provincial stradales for two vehicles to pass abreast. Just. We had settled on San Gimignano as the next stop on the journey along the Tuscan Loop. I dragged myself out of bed at the villa we rented in Cappanori just southeast of Lucca. The neighborhood rooster made my iPhone alarm redundant. I showered, grabbed by motorcycle jacket and photo gear, pulled on my summer riding gloves and climbed into the back seat of our rented Fiat 500L. It was seven-thirty as we pulled up and out of the steep gravel driveway and began weaving our way through the narrow, twisting, hillside backroads headed to Noleggio Moto Toscana in Pontedera. My son Jonathan took the wheel hurtling around blind corners with Italian brio. My son Andrew rode shotgun handling the GPS, adding timely hints (no! Right, hard right!) and blasting tunes from his iPad over the Fiat's Bluetooth. We pulled into the rental shop's parking area. The front door to the shop was wide open. A comforting sight. I'll be the first to say that the shop doesn't look like much, but never judge a book from its cover, as the saying goes. I strolled into the shop lined with Vespas and a few motorcycles. I spotted a distinguished looking gentleman in the glassed-in office at the back of the shop. Guessing it was Roberto, I introduced myself. He rose to greet me, struggling somewhat with a pair of crutches. He made a face explaining the cast on his foot. He had been riding and was sideswiped by an errant driver. Having experienced what it means to drive in Tuscany the previous day, twisting our way to Siena, and on to Montefioralle, it's a wonder to me that half the riders in Tuscany aren't hobbled with broken limbs. As Roberto worked on the inevitable paperwork, I selected a helmet. I settled on a copter style open face helmet with a full face shield. I would have picked a modular, but that option wasn't available. I wear vintage Bausch and Lomb aviators with loop-around arms. A full face helmet just wouldn't have worked. I dutifully signed the rental forms, here, here, and there, inserting my signature opposite Roberto's X marks. I'm a lawyer, so I read nothing. Roberto went about the remaining paper-shuffling with the enthusiasm you might expect. I busied myself with the helmet, installing my Sena SMH10 headset which went on without any difficulty at all. Satisfied with that bit of work, my attention returned to the business of getting a bike ready to roll. The black Piaggio MP3, the only MP3 in the shop, was parked Italian style, the second to last bike in the long line of bikes in the shop. Roberto grimaced at his foot, and apologized that his colleague would be there soon to get the bike out. I asked if he minded if I took on the challenge. He sized me up quickly. I guess I looked convincing enough in my Corazzo 5.0 jacket with the ModernVespa patches and 10,000 mile badge. Roberto nodded his approval. When I say that the bikes were parked Italian style, you'll understand if you've ever been to a major Italian city, like Rome, or Florence. You can certainly wedge a piece of paper between the bikes, maybe even a piece of cardboard. But that's about it. I angled the handlebars on the MP3, then angled the handlebars on the neighboring BMW GS, sucked in my gut, held my breath, and edged myself between the bikes. The MP3 was on the centre stand. I straddled the bike. Roberto was quite focused on the proceedings. I held the rear brake firmly and rocked the bike off the stand. With the back wheel locked, the bike barely moved forward and dropped off the stand. Roberto looked at Jonathan and Andrew and said appreciatively "your father knows what he's doing". He looked visibly more relaxed now. I released the MP3's parking brake, turned on the ignition and released the front wheel locking mechanism. I gingerly walked the bike out of its parking spot into the open area in the centre of the shop, executing a four or five-point turn. Roberto added "your dad's really good!" There have been prouder times in my life no doubt, but I confess that I couldn't think of any at that precise moment. I flipped the kill switch to the run position, held the rear brake and hit the starter. The MP3 stuttered to life, purring gently in the confines of the shop. 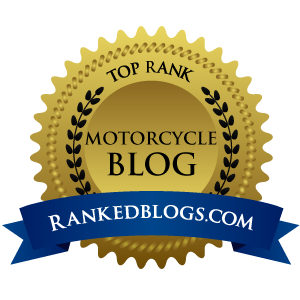 Keeping a little pressure on the rear brake, I twisted throttle and rode the bike to the shop door. I negotiated the door sill, angling the handlebars gently left then right to avoid touching the door frame. I hit the switch to lock the bike's front suspension which holds the bike in a vertical stance, and engaged the parking brake. As I switched off the ignition I found Roberto had followed me out. He patiently explained how to use the ignition key's multiple functions to release the rear trunk, the underseat storage, and the fuel filler lid. Much of the explanation was lost on me because Sonja and Roland had pulled up to the shop on their Vespa GTSs and half my attention was focused on them. Fortunately Roland was paying attention and he was able to show me how to unlock the underseat storage a little later on. Sonja's orange Vespa GTS 300 i.e. Super Sport is a brand new bike purchased in Germany. Roland's red GTS is the bike he had in Vancouver. I had ridden behind that bike a few years back. We indulged in the inevitable rider chit-chat while I stowed my camera gear and rain jacket in the MP3's storage compartments and installed the RAM mount for my GoPro camera on the right mirror stem. A few more minutes were lost as we struggled to pair our Sena helmet headsets. With those preliminaries dispatched, I said goodbye to my sons, we saddled up, fired up the bikes and merged into the morning traffic on the Via Pisana. None of us had eaten, and we all needed to gas up, so a few pit stops were in order. We stopped first for some coffee followed by a refueling stop. Then we hit the road headed southeast towards some of the very best spots Tuscany has to offer. In a word, that's Venice. It's that, and impossibly romantic. Can anyone think of a more romantic place on earth? Perhaps the universe? I can't. I tried. There are any number of places that certainly compete for the number two spot. But rivals to Venice for the crown? None I can think of. That's Venice. The other thing I couldn't summon, was any time I had gone for days on end without seing cars, buses, motorbikes, or even bicycles. Venice is heaven for pedestrians. Pretty much what heaven must be, minus the angel wings. And clean too. Even the canals were clean. The water, some shade of pale green. I am tempted to say emerald green, but my inclination to colour-blindness robs me of the confidence to say so. Susan marveled that there were pigeons, but no visible pigeon-poop. Where is the pigeon poop? Yes, it's that clean. That's Venice. Venice has alleyways that, if you were anywhere else on earth, you wouldn't dare venture into without trepidation. In Venice, when you first encounter such a passage, barely more than a person wide, dim, crooked, sometimes with only a sliver of sky visible overhead, with no one around you, and no visible end in sight, you hesitate. Every urban instinct is an angel perched on your shoulder whispering ¨really?¨. You advance warily, your fight or flight instincts on tippytoes. Then, walking confidently in your direction, not a care in the world, is a woman. Unaccompanied by burly men. Alone and carefree. That's Venice. You get used to it. Wandering home from the restaurant in Canareggio; headed in the general direction of the Rialto bridge and Piazza San Marco; in the dead of night; no comforting crowds; here and there the occasional knot of fellow humans; not entirely certain where in the rabbit warren of tiny streets you are, exactly; not entirely certain where your hotel is, exactly. But carefree. Relaxed. A pleasant spring late-evening stroll. That's Venice. Venice is grand. The grand canal is clearly grand. Piazza San Marco is very, very grand. It's visually grand. A city filled with glitsy glass and fantastic masks, silken renaissance fabrics and sleek black lacquer gondolas, a harlequin's fantasy. Yet it all works nicely. That's Venice. Our train is hurtling south, Firenze-bound. Venezia is behind us. Perhaps forever. Too many other places to see, to be. A must see, that's certain, but perhaps just once. Like an impossibly sweet desert. Once may be just right. That's Venice. We will only be in Florence long enough to pick up our rented car on Borgo Ognissanti. Then it will be time to fire up the GPS and head to Lucca, for the second stage of this wonderful holiday. Our villa awaits our arrival in Cappanorri, our base for the next five days. We will have visited Venice, Cinque Terre, Rappallo and Portofino, Sienna, Greve in Chianti, Montefioralle, Panzano, Pontedera, Volterra, San Gimignano, Florence and more by the time our Italian sojourn winds down.